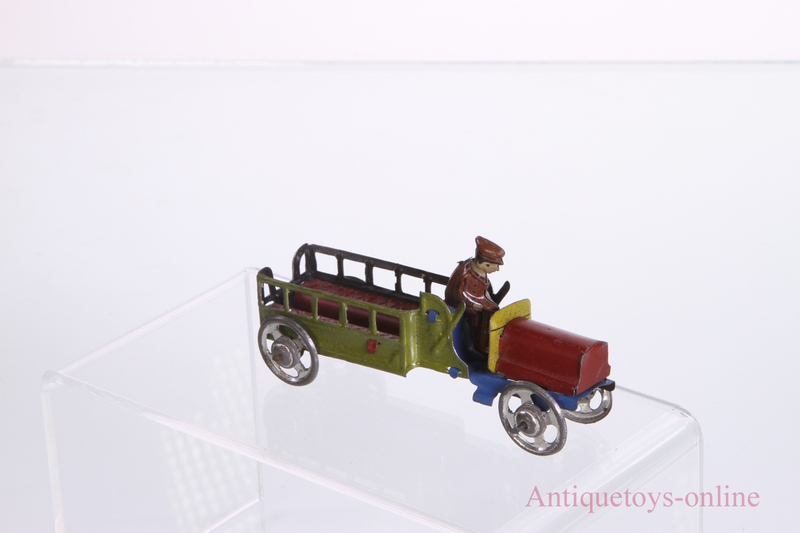 Our penny toy tin truck is from Distler and in excellent condition. 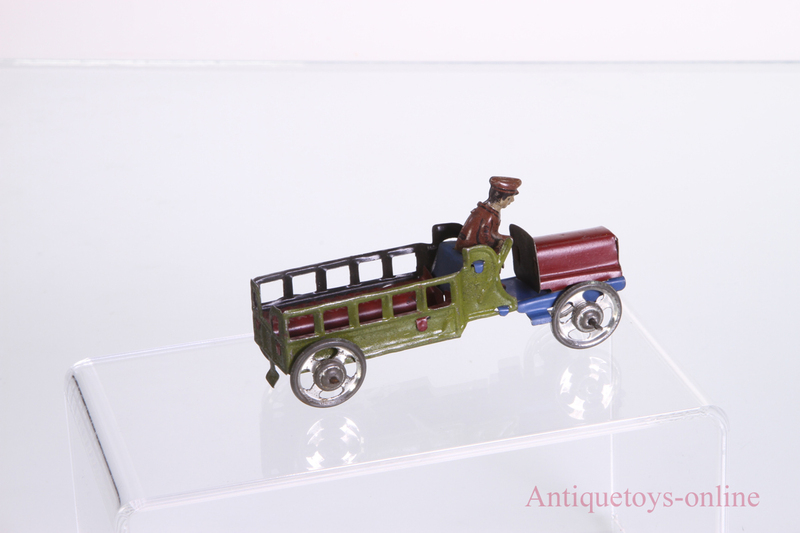 The charm of this and other of these penny toys is their crisp depiction of a by-gone era. Our driver is in an open cab truck; an early form. He doesn’t have traditional brakes the way we use, he has a hand lever for emergency braking. 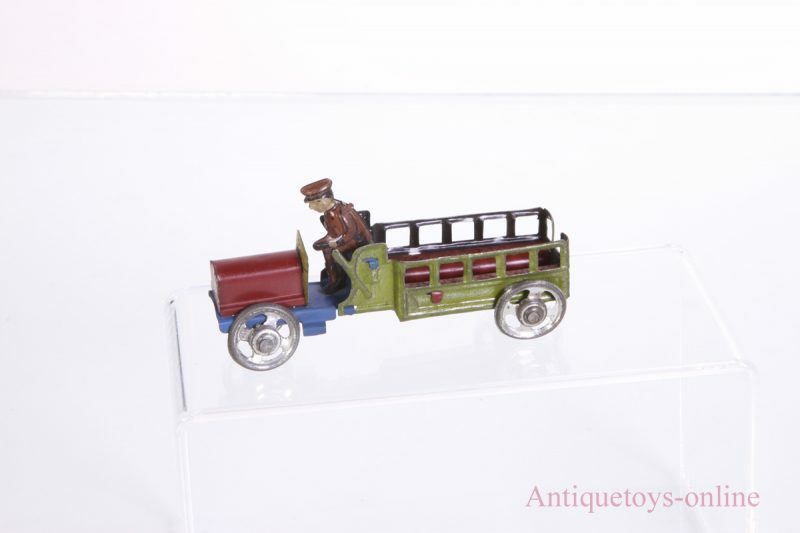 Then the open truck bed is in a form we call a “stake truck” for its pickets of wood.